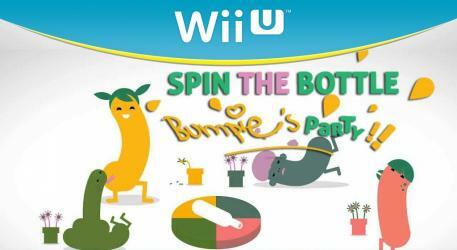 Spin the Bottle: Bumpie's Party is a game for 2-8 players. You sit in a circle around the GamePad and spin a virtual bottle. Two players are randomly paired up each round to do a collaborative physical challenge. Use the Wii Remotes and each other to dance, spin, grab, jump, hide, pump, pass and squeeze. Collaborate with your friends and complete the most challenges to win Bumpie's Party! Spin the Bottle might be tongue-in-cheek, but don�t worry kissing is not required.